Many of us are suffering what feels like a great injustice in our world. We fight and cry out and complain. We ask over and over, to anyone who will listen. “How could this have happened? !” It doesn’t make any sense. And, yet “it” did indeed happen. The question is, as always, what is my own responsibility in the matter and what is there to do now? Some are fighting harder, voicing our protests louder; some have crawled under the virtual blanket of denial and refuse to engage in the real world in its current manifestation. It has been said thousands of times, what we resist persist. The question is not “how could they…?” The question is, what was my own contribution? Where do I hate, refuse another being based on my opinion? How do I hold myself above another, even unconsciously? Human beings have a negative energy deep in the core of our being. None are spared. It is part of the human condition. Some say it is the purpose of our existence to see and transform this negative energy. We all, everyone, resist our negativity. It isn’t pretty. Alternately, we exaggerate this powerful force and pridefully pretend that is all of who we are, meanwhile hiding the weakness we see in those who are afraid of their own dark side. Under this darkness that we all share is our light. 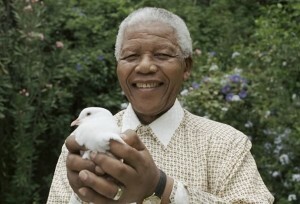 Nelson Mandela famously said that it is this light that we are truly afraid of, not the darkness. Nonetheless, we hide what we truly are. We are so afraid of being rejected, turned out, not loved, found out, etc., that we hide. The problem is that when we hide, our light cannot shine. It makes sense, as a child, to not openly display the hate the child experienced at having been disciplined, have toys taken away, wishes unfulfilled. This makes perfect sense. As adults, however, we continue to childishly hate when our wishes are not met and then pretend that, on top of that, we are mature. Or, we blame life, the other, our political system, point to all that is wrong “out there” as the reason for our hatred. The hatred lives within. We feel guilty and ashamed about this, so we fight against it or rationalize it. Neither works. What there is to do, with love, compassion, and understanding of our human condition, is see where it is that we hate and why. See how it makes perfect sense that, based on the conditions in which we were raised, we came to certain conclusions, made broad assumptions about life and other people. See that, with prayer and meditation, asking, always, for help from a higher source than our own human mind, that there is a larger force at work here. We cannot allow this higher life source to work through us as long as we are committed to our present “I am right and you are wrong” position. We cannot rid evil from the world. We cannot even rid evil from our own consciousness. We can accept what is, see that it is not in line with universal laws, and pray daily that we can see and transform and clear ourselves bit by bit, with the help of the universal life force. Not by hiding, but by exposing and understanding, again with compassion, the darkness that lies in our own hearts. Only then can a higher level of energy begin to flow through. Only then can there be true justice in our world.